Unless you just landed here from the middle of the previous century, you have almost certainly heard of integrated circuits, or ICs. But you may have heard these constructs referred to by one of their alternative names, such as microchip, computer chip or even IC chip. If you've ever shopped for a laptop or desktop computer, you've probably seen information about each model's microprocessor listed prominently among the machine's primary features; these devices operate using one or at most very few distinct ICs. And if you haven't actually heard of ICs, you have certainly made use of them and at this point would not be able to navigate your everyday life without their help. Unless you are reading these words on a sheet of printed paper, you're enjoying the benefits of ICs at this very moment. 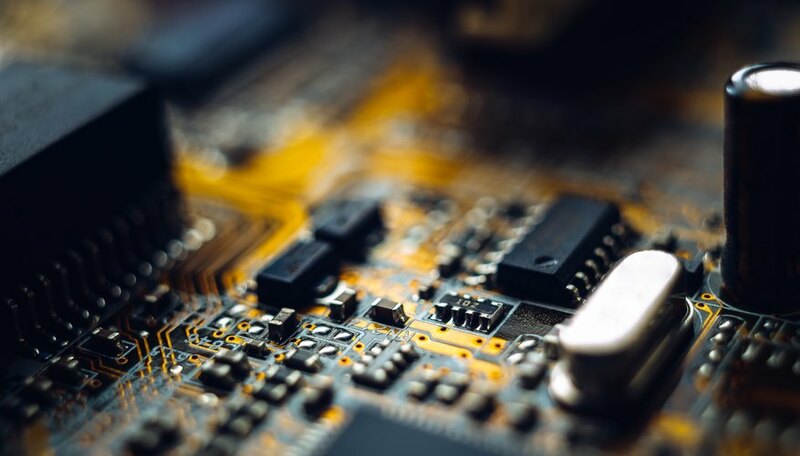 ICs have helped revolutionize information technology, telecommunications and other industries, so it's not surprising that they come in a variety of flavors, each of them tailored to the specialized needs of their electronic environments. You don't need to be well-versed in electronics to understand how these different types of ICs work and appreciate their multifaceted value to society. An integrated circuit is a tiny – microscopic, in fact – electronic circuit array. An electronic circuit contains a variety of parts tailored to deal in some way with the flow, spread and relay of electricity. In the same way a system of interconnected water pools might have channels, gates, overspill tanks, pumps and other devices to maintain the desired status of the array in each of the pools at any moment of time, IC components include transistors, resistors, capacitors and other items that perform these functions with electrons rather than fluids. If you have ever taken a computer, cell phone or other modern electronic device with computing power apart or seen one disassembled, you have likely seen an IC up close. Their various components are fixed on a surface consisting of a semiconductor material (usually silicon or mostly silicon). This "wafer" surface, which serves as the base of the IC, is typically colored green or some other hue that makes is easier to visualize the individual pieces of the IC. Assembling an electrical circuit from component parts collected from various sources is extremely expensive compared to building such a circuit all at once, with each of its required components on hand. (Imagine the difference in cost between a car bought the usual way and one made from separately ordered tires, an engine, a navigational system and so on. Think of a car bought from a deal as an "integrated vehicle" in IC parlance.) The idea for these devices arose in the 1950s, shortly after the advent of the first transistors. Digital ICs come in a variety of subtypes, among themprogrammable ICs, "memory chips," logic ICs, power-management ICs and interface ICs. Their defining characteristic from an electrophysical standpoint is that they operate at a small number of specified signal amplitude levels. They operate using what are called logic gates, which are points at which changes to the circuit activity may be introduced in a "yes/no" or "on/off" manner. This is accomplished using the old computer standby, binary data, which in digital ICs use only "0" (low or absent logic) and "1" (high or complete logic) as permissible values. Analog ICs operate over a continuous range of signals rather than the discrete signals featured in digital ICs. The concept of making something "digital" essentially means placing all of its parts into distinct categories; even if there are a great many of them, as with the colors of individual pixels in digital image displays, they only offer the appearance of true continuity. Although people tend to hear "analog" as "outdated" and "digital" as "state of the art," this is unfounded. For example, one kind of analog IC is radiofrequency IC, or RFIC, which is a crucial element of wireless networks. Another type of analog IC is the linear IC, so named because the voltage and current in these arrangements vary in the same proportion across the range of signals they carry (that is, V and I are related by a constant multiplicative factor). Mixed analog-digital ICs include aspects of both types of ICs. In systems that convert analog data to digital data or the other way around, you'll find these mixed ICs. The entire concept of integrating digital and analog components on the same chip is far newer than IC technology itself. 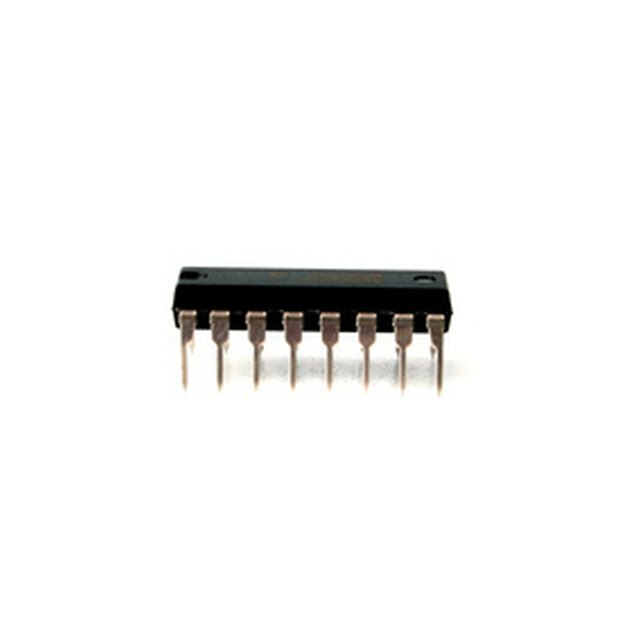 These ICs are used in clocks and other timing devices as well. In addition, ICs can be placed in categories apart from the digital-versus-analog distinction. Logic ICs, which as mentioned use binary data (0s and 1s), are used in systems that require decision making. This is done using "gates" in the circuit that either permit or deny passage of a signal based on its value. These gates are assembled so that a given combination of signals will give a specific, intended result based on the summation of events at multiple gates. When you consider that the number of different combinations of 0 and 1 in a logic IC with n gates is 2 raised to the power of n (2n), you quickly see that these ICs, though exquisitely simple in principle, can handle highly complex information. You can think of the signal in a logic IC as an unusually smart mouse negotiating a maze. At every possible branch point, the mouse must decide whether to enter the open door ("0") or keep walking ("1"). In this scheme, only the proper sequence of 0 and 1 values will result in a path from the entrance of the maze to its exit; all other combinations will ultimately terminate in dead ends within the walls of the maze. Switching ICs make ample use of transistors, described in detail later. They are used just as their name suggests – as parts of switches, or in circuit parlance, in "switching operations." In an electrical switch, the interruption of current or the introduction of current that was not previously present can trigger a switch, which itself is nothing more than a change in a given condition that can take two or more forms. For example, some electric fans have low, medium and high settings. Some switches can participate in more than one circuit. Timer ICs are capable of keeping track of elapsed time. An obvious example is a digital stopwatch, which shows time explicitly, but various devices must be able to keep track of time in the background even when it does not need to be displayed to users or when display is optional; an everyday computer is one example, although some of these now rely on satellite input to monitor and adjust time as needed. Amplifier ICs come in two types: audio and operational. Audio ICs are what make music louder or softer on a fancy sound system or increase or decrease the volume in devices that incorporate sound of any sort, such as a television set, smartphone or personal computer. These make use of voltage changes to control sound output. Operational ICs operate similarly in that they result in audio amplification, but with operational ICs the input and output are both voltage, whereas the input of audio ICs is audio itself. Comparators do what their rather awkward name hints at: They compare simultaneous inputs of signals at multiple points and determine an output signal for each. The outputs at each of these entry points are then added in a suitable way to determine the total output of the circuit. These are loosely similar to logic ICs but without the strict yes/no (binary) data component. IC types can be determined on the basis of just how integrated they are, which is roughly equivalent to how many parts they have at their most stripped down. (In theory, a given IC has absolutely no extra components. Each one represents the smallest system capable of carrying out a given electronic task.) The number of transistors in particular is especially convenient for this purpose. Small-scale integration, once figuring prominently in aeronautical engineering, features tens of transistors on a single IC chip. Medium-scale integration, which got off the ground in the 1960s, consists of some hundreds of transistors on one chip, while large-scale integration, which started in the 1970s, includes thousands. Very large-scale integration, a product of technology over the 30 or so years between about 1980 and 2010, may have as few as several hundred and up to a few billion transistors on the same chip. In ultra large-scale integration, the number always exceeds a million. As technology has continued to expand, the IC world has witnessed the advent of wafer-scale integration (WSI), the system on a chip (SoC) and the three-dimensional integrated circuit (3D-IC). What Is an IC Code? If you look closely at a circuit board, you will see an alphanumeric "word" printed there. This goes by various names, including IC code, IC part number or simply IC number. The IC code gives information about the manufacturer of the IC, the type of device it is suited for, the series it is a part of (many cars adhere to this convention as well), the temperature at which the circuit can properly function, output information and other data. There is no fixed format for the IC code in terms of number of characters, but anyone familiar with them can piece together what they need to know by separating the code into different parts. This is made easier by the spacing includes between groups of letters and numbers, as is done with the dashes in a U.S. social security number or telephone number. How Many Types of Transistors Are There? A transistor is used to boost current in an electrical circuit. The means by which this occurs has to be covered to another discussion, but the type of transistor used in ICs is called a BJT, which stands for bipolar junction transistor. These come in two basic constructs – the pnp and the npn, which stands for "positive-negative-positive" and "negative-positive-negative." Transistors consist of three main elements: an emitter, a base and a collector. The interfaces between p and n portions of transistors are called np junctions, and there are two per transistor. These are also called base-emitter and base-collector junctions, as the base sits in the middle. What Is the Active Region in a BJT? The active region of this type of transistor refers to the region on a graph of current vs. voltage in which voltage can be stepped up significantly without changing the current much inside the transistor. The region just prior to this is the saturation region, in which current rises steeply with increasing voltage; the region just beyond it is referred to as the breakdown region, in which current again rises sharply with additional voltage and exceeds the capacity of the circuit. Beck, Kevin. "Types of Integrated Circuits." Sciencing, https://sciencing.com/types-integrated-circuits-6018661.html. 13 December 2018.